Discover our wide range of high-end kitchen accessories to meet all of your culinary needs. 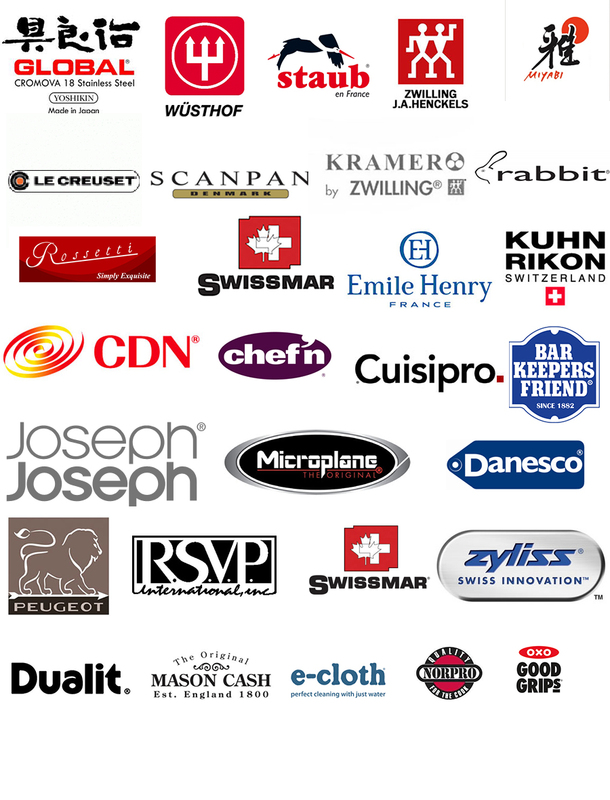 All of our kitchen products are brand named and time tested. You will find a full range of stainless and enameled cookware, stoneware, bakeware and high-end kitchen gadgets. We also have a full selection of European and Japanese knives. Set the perfect table by visiting our tableware area, where you will find beautiful glassware, barware, table linens and flatware, along with some spectacular decor centerpieces.